Becoming a chief academic officer can be accomplished through the right education and work experience. Below introduces how students can become a chief academic officer and what skills they will need. Chief academic officers are unique academic administrators that oversee interdisciplinary units and support teams. They are usually the second-ranking education official after the college dean. In fact, there are many different titles for a chief academic officer, including provost, vice president and vice chancellor. Chief academic offers develop policies, manage budgets and direct academic activities. All chief academic officers will have similar work experience. Education administrators typically work in admissions, student affairs or the registrar’s office. Therefore, this is the best place for an aspiring chief academic officer to start working. In the admissions office, the student will work with staff to prepare promotional materials, meet with prospective students and review applications. They will perform a wide range of student admissions data analysis. On the other hand, registrar office staff will maintain academic records. They will prepare transcripts, maintain academic documentation and help schedule and register students. Finally, student affairs staff help students with various personal, academic and housing problems. They often schedule non-academic services and recreational programs. Either way, there are many education administration job opportunities for potential chief academic officers. The Bureau of Labor Statistics (BLS) asserts that postsecondary education administrator positions, such as chief academic officers, do not have strict education requirements. That is, entry-level positions may only require a bachelor’s degree, but most positions require a master’s degree or higher. Fortunately, there is no standard degree required to become a chief academic officer. 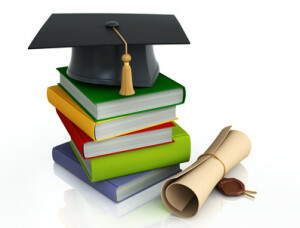 Most students major in an education or business field, such as management or administration. States may require the chief academic officer to obtain state education licensure. Candidate should be committed to educational values and excellence. They should be able to demonstrate how they have created and executed initiatives designed to improve student achievements. They must have experience with designing and implementing a diverse array of curriculums. Therefore, they must have strong analytical and interpretive skills with academic data. They should be capable of building collaborative relationships with school staff, students and community partners. In order to accomplish this, they must have excellent written and oral communication and presentation skills. A chief academic officer will have core academic responsibilities. First, they must lead and develop staff in driving academic excellence. They accomplish this through setting objective goals, supporting staff and evaluating academic performances. They must observe and evaluate staff, such as lesson observations, instruction quality and student culture. Second, they must design and implement curriculum for major topics, such as math, science and literacy. This will involve delivering professional development opportunities to staff to learn how to assess and implement curriculum. Third, they must create various data analysis reports and submit to school leadership. Fourth, they will be an active member of the academic leadership team. Therefore, they will attend meetings, make improvement recommendations and help reach the school’s goals. To recap, chief academic officers are high ranking postsecondary administrators who oversee their school’s academic programs. Chief academic officers are self-directed and independent professionals who prioritize results-driven goals.